Throughout the winter months we’re all finding it harder and harder to keep warm without turning the heating up. Nevertheless there is a method of keeping warm without having the heating bills go through the roof. There are multiple methods of increasing your homes energy efficiency and decreasing your bills. The main approaches is home insulation, however in the past, insulation has had its named dragged through the mud. I’m here to hopefully clear up some of the myths and show you why it’s a key home improvement you should consider. Why is insulation so expensive? A big myth around home insulation is the cost. For a lot of people, they believe that it is a large investment with not much payoff. However, this is quite the opposite. In the past, high amounts of small companies were offering the service for free. Then installing a low-grade product and making a quick profit from government funding. As a high amount of people expect the service free now, it’s hard for companies to charge for it. The government runs constant schemes that can offer grants to assist with the price of installing insulation. But there is no guarantee that any home can qualify for a grant, it just depends on circumstances chosen by government, A&M Energy Solutions offers a free survey and quote for any insulation work on your property, so you can at least see if you might be eligible for some discount. In addition, Insulation in comparison to most other energy saving measures (windows, doors, etc…) is relatively cheap. However, since it isn’t an aesthetic change to the property, people don’t feel as if it’s making much of a difference, so don’t see the point. As seen from the diagram, most properties are loosing energy through their walls and roof. An uninsulated property is basically leaking money every year. Another one of the main myths surrounding insulation is the level of ‘danger’ it presents. This fear is highly related to the fact of ‘pop up’ insulation companies, installing a faulty product incorrectly just to make a quick profit. Companies like this have created such a poor name for the safety of insulation, however with more regulations in place and involvement from government, insulation is extremely safe in accordance to BS EN 13501. It is a requirement that any company that manufactures insulation designs it to minimise the risk it poses to starting fires and maximise the buildings structure and ability for occupants to escape in emergency unharmed. All insulation material has to be assessed in terms of Fire performance. Knauf Insulation (‘the UK’s leading manufacturer of mineral wool) ensures all of its insulation products achieve a Euroclass of ‘A1’ which is the best rating for how their products react to fire. At A&M we purchase the top-quality products from Knauf Insulation and other suppliers ensuring we are working with the utmost focus on performance and fire safety for our employees and customers. Why is it so important in our homes? One important thing to remember with insulation in your home, is that it’s not just for winter and it’s not just for energy saving. Firstly, insulation works by maintaining the temperature level in your home in accordance with your heating system. In the winter, insulation works by keeping the heat inside your home, by not letting it escape through the walls or the roof. The same process works in summer but reversed. When the temperature outside increases, the heat mainly comes in through your attic space, if there is little to no insulation that heat will end up inside your home and stay there, forcing you to open more windows or increase the AC. To put simply, insulation keeps the heat in when you want it to and keeps it out when you need it to. All of this helps homeowners to save money on energy bills by not having to turn the heat or the AC up as much. In addition to saving you money on your energy bills, it can help to reduce noise pollution from outside, especially for those who live on main roads or around a busy area. Most insulation produced now in modern factories will create insulation through recycled materials, minimising the need for raw materials. Knauf Insulation boast that their Glass Mineral Wool insulation can contain up to 80% recycled materials. The majority is produced in their new Veolia Glass Cullet facility. These new advanced facilities ensure a reduction in energy use and the production of C02 emissions. Why is insulation good for the environment? 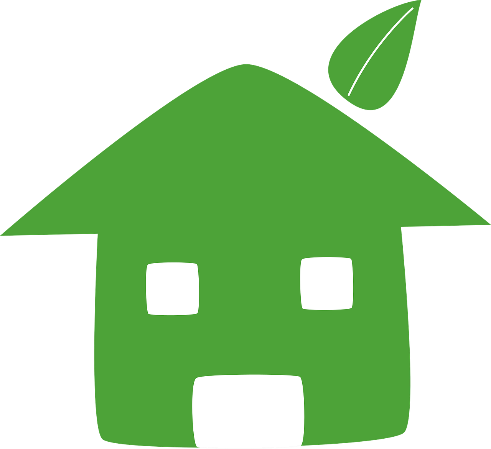 As mention previously, most insulation products are now used from recycled materials, meaning less waste in landfill’s. In addition, allowing wildlife to flourish by not taking down trees or green belt area for materials. 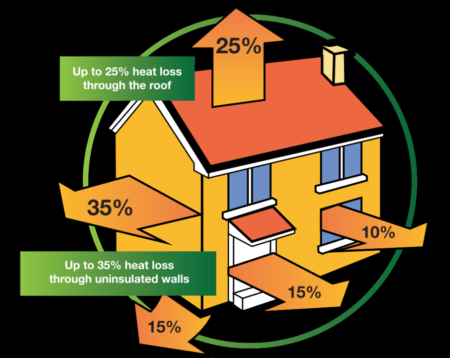 The more insulation in British homes, means less is spent on the heating and therefore less C02 in the atmosphere. The less you have to spend on heating your home, the better for the environment. If you’re curious to see if your property will benefit from installing insulation. Please feel free to contact us now for a free quote and survey.